How much does Garage Keepers Legal Liability Insurance Cost? How Much Does Garagekeeper’s Insurance Cost? To get an exact price, you will have to talk to an insurance agent directly. To get the best deal on your garagekeepers insurance, you will need to shop around. We can help by bringing you 3 agents that will compete for your policy. It’s fast and free. How Much Does a Garagekeepers Insurance Policy Usually Cost? Every type of business pays a different amount, but here’s a typical example. Let’s say you’re an auto detailing business and you want a garagekeepers liability insurance policy with comprehensive and collision coverages ($250 and $500 deductibles, respectively). Both coverages have $75,000 limits. Your business can expect to pay between $800 and $2000 dollars a year for garagekeeper’s insurance—about $1,000 – $1300 on average. 1. Know your risk – Knowledge is power. It’s important to understand what insurance companies are looking for when doing business with a new business. Insurance companies want to work with safe businesses that are involved in very few accidents. They want to work with businesses that are located in safe areas with low rates of crime. They want to work with businesses that pay their bills on time. Ask yourself: if you were an insurance company representative, would you feel good insuring your towing business? 2. Implement safety programs – Insurance companies like workplaces that are committed to safety. If you commit to training your employees on best practices and make it clear that unsafe practices won’t fly, you will notice a decrease in preventable accidents. There are step by step safety programs available online that can help you train your employees and thus avoid future accidents. 3. Get the best limits and deductibles – You get to set the limits and deductibles of your policy. A low limit and a high deductible will contribute to a cheaper policy. But remember, it’s better to be safe than sorry. You might end up paying more in deductible fees after an accident than you had saved by making them so high to begin with. 4. Choose the right payment plan – Your insurance agent will give you a choice as you two set up your policy—how often do you want to pay? Businesses can be billed by the month, by the season, or by the year. Generally, the more frequently you write a check, the higher your premium will cost. If you can afford to pay in a single lump sum at the beginning of the year, do that. It’ll save you in the long run. 5. Shop around – This is probably the best thing you can do to get cheaper garagekeeper’s insurance. Simply call up a few agents and ask for a quote. They’ll be more than happy to obligue. But since it can be difficult to find local insurance agents, we made this process a little easier. Fill out one free form and we’ll connect you with three independent insurance agents. 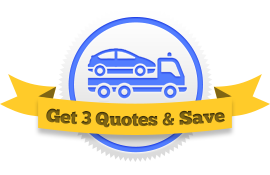 They will each send you a quote and you can choose which policy works best for you.